Our quilts, made with love and prayers bring comfort and Gods love to the recipients and their families. 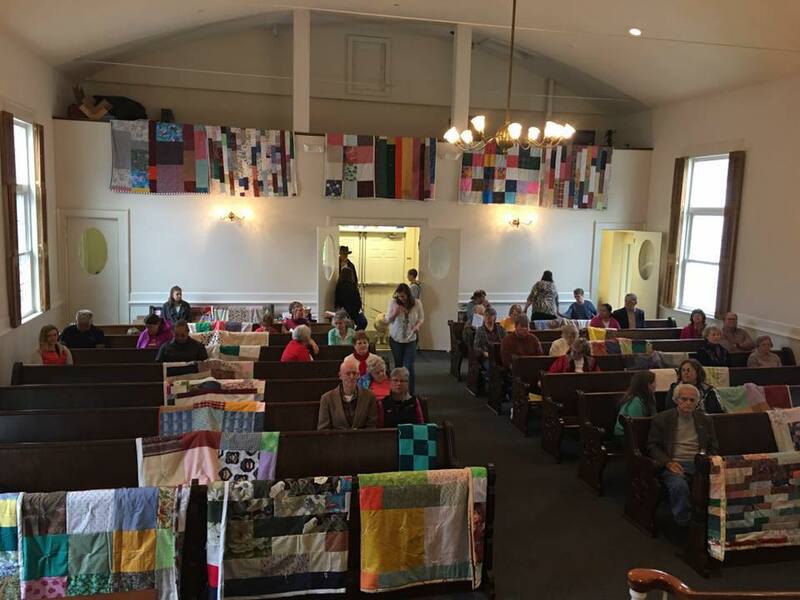 Since Nov 2003, 197 Prayer quilts were created, dedicated, and delivered to family and friends of Community Lutheran Church. We are members of the national Prayers & Squares, The Prayer Quilt Ministry and hold charter #140. 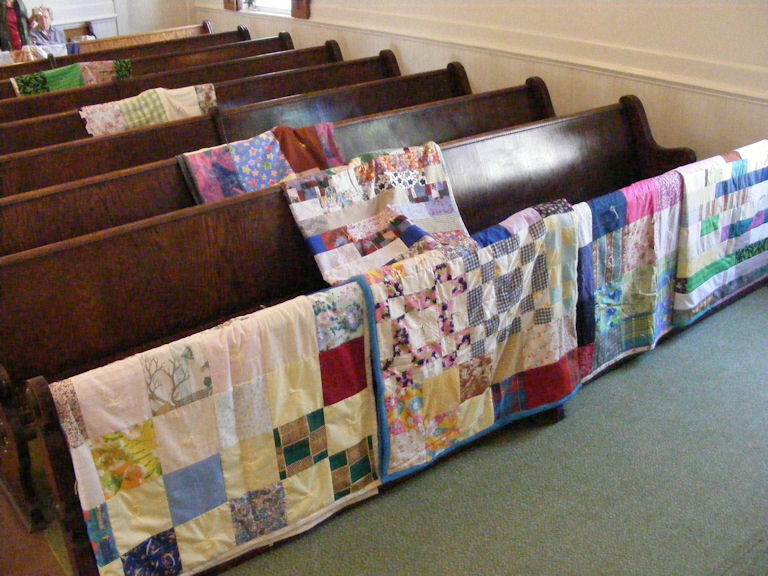 Any member of the congregation can request a quilt for another person who is in need of prayers. The requester is referred to as the quilt's "sponsor". 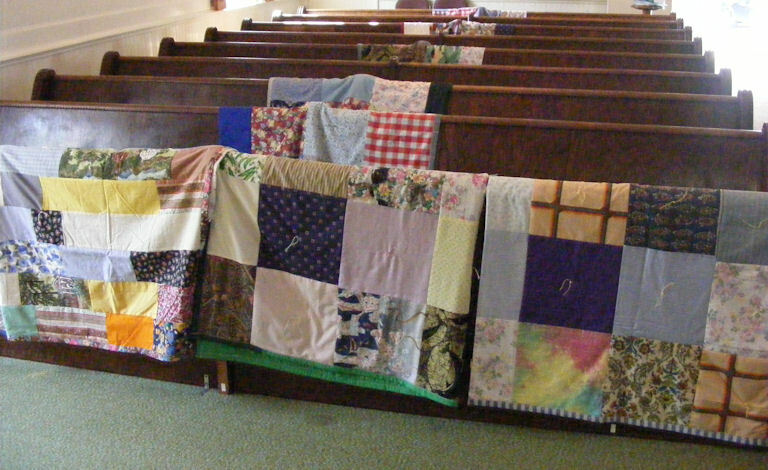 After a request is made a quilt is dedicated to the recipient during a worship service and then finished by the congregation after the service, where they say a prayer as they tie a knot. Community Lutheran Church participates in creating quilts for Lutheran World Relief Quilt ministry program. Each year we create 20 to 30 queen size quilts from donated materials. The quilts are picked up by LWR and shipped throughout the world. They are used by the recipients to shield against the cold and rain and for warm bedding. Their versatility makes them useful for use as simple tents, floor coverings, or a wrap to hold a baby on a mothers back. supplies to help the children continue learning despite the hardships they face. 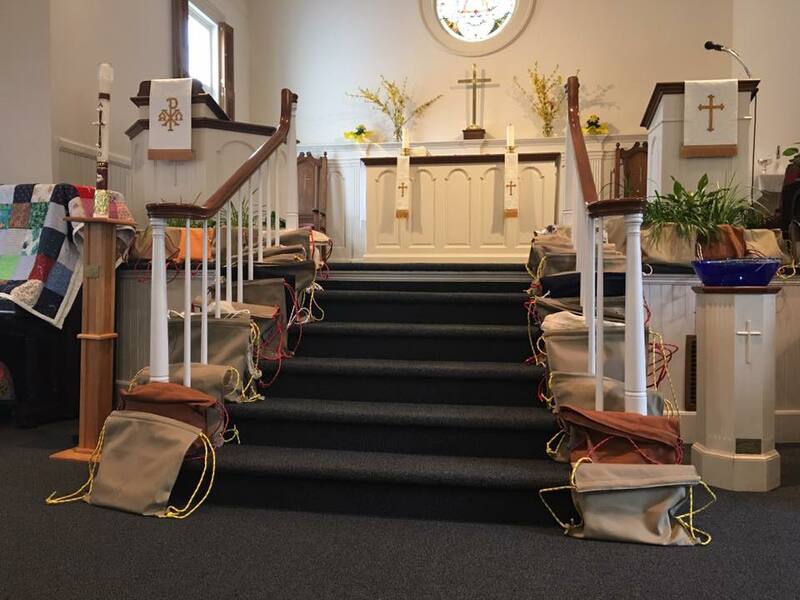 Lutheran World Relief distributes these backpacks to young people throughout the world enabling them to continue their education.